Caring for a loved one who is prone to wander is hard work and there is no time when that worry goes away. With their safety playing on your mind, your own life is impacted and it can cause a lack of sleep and a decline in your own health. The PIR Transmitter and Alarm Pager Kit puts that worry at ease. The infrared beam is a motion detector and when movement is identified in the protected area, the pager is alerted and an alarm sounds. Your mind can be put at ease knowing you will be alerted if your loved one is on the move. Please note, this transmitter is suitable for the Medpage MPPL Range only. The transmitter is an infrared beam that spreads in a "V" shape for up to 30 meters. When movement is detected in this area, the alarm on the pager is triggered and the carer alerted. This means there are a number of different uses: placed a foot off the ground near the bed, the transmitter becomes a bed-leaving monitor. 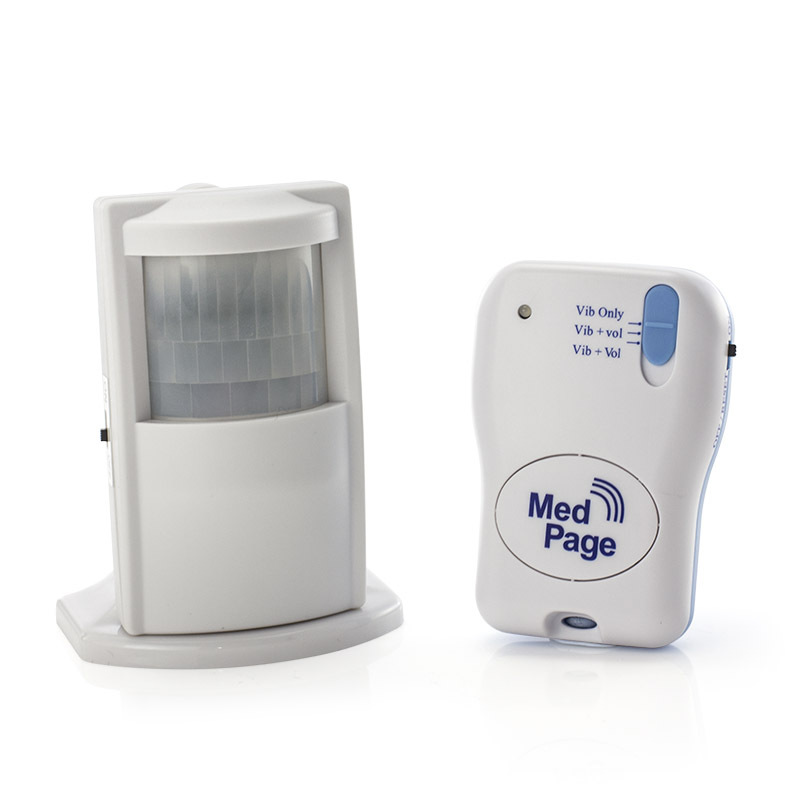 Placed at an advantage point at a door, it alerts the carer to people entering and leaving a room. 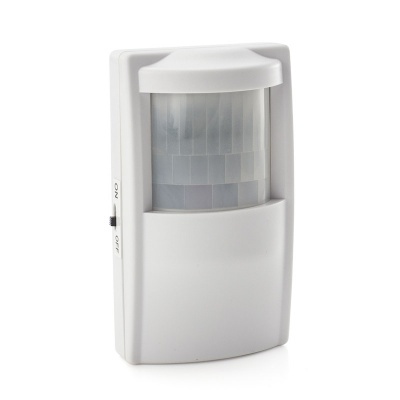 Or positioned near a front door, an alert is given before the door opens. This versatility is only limited by your imagination – if you're worried about wandering, the PIR transmitter can help! The transmitter is easy to install and easy to operate. The only switch on the device is a simple on/off switch. The transmitter sends a signal to the MPPL pager. 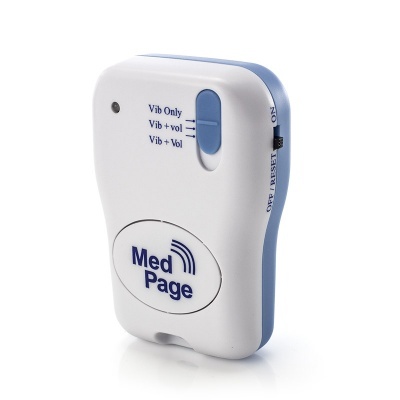 This pager can be used with up to eight different devices and has the option of either a tone or vibrate alert depending on individual preferences. It is powered by 2 x AA batteries (provided) and has a low battery warning.